Angul: 6/11/818:Finally, elusive Royal Bengal tigress Sundari was tranquilised by a team of expert near Majhipada forest in Odisha’s Satkosia Tiger Reserve on Tuesday. Principal Chief Conservator of Forest (Wildlife) Sandeep Tripathi informed that Sundari was tranquillized near the Shiva Temple in Majhipada area of Satkosia Forest Reserve. Sundari will now be taken to the Raiguda enclosure, he added. Elephant Jasoda of Chandaka forest was used in the tranquillisation. 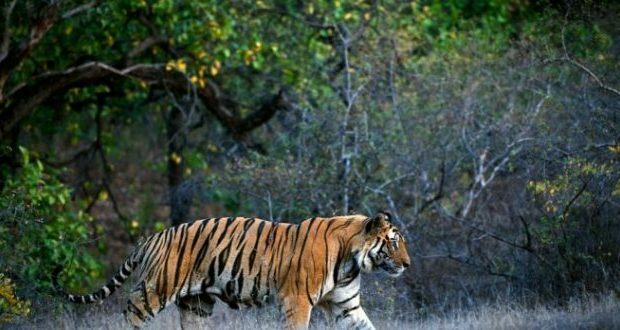 Two special teams that were roped in from Kanha and Pench Tiger Reserves in Madhya Pradesh had resumed the tranquilization operation on Sunday after mounting on Jashoda’s back. The state Forest Department had decided to tranquilise the tigress Sundari after it allegedly killed two persons near the Satakosia Tiger Reserve.